Maranatha Brethren Church of Hagerstown, Maryland, this past Wednesday extended a unanimous call to Dan Thornton (pictured) of Soldotna, Alaska, to be its executive pastor. Thornton has accepted the call and he and his wife, Sue, are moving forward with selling the family‘s Alaska home and plan to move to Hagerstown in early summer. Thornton said, “We’re impressed with the Maranatha church leadership. My title will be Executive Pastor, with a role that is becoming increasingly common, providing overall ministry leadership and training, while sharing the pulpit with two other excellent preachers. “Ron Shank was youth pastor at Maranatha for over 20 years. He is currently chaplain at Brook Lane Mental Health (brooklane.org). John Miller previously led another church in Hagerstown and is currently a missionary with Churches in Missions (churchesinmissions.org). John and Ron have done a great ministry of preaching and providing pastoral leadership for Maranatha during this interim. The three of us will share the preaching responsibility for the church. 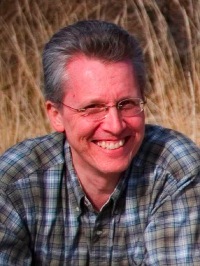 Thornton came to Peninsula Grace Brethren Church of Soldotna in 1986 as Pastor of Worship and Administration, becoming Senior Pastor in 1989, serving until 2007. Dear Reverend Thronton, I just read your story online and thought I would drop you a quick note. First, welcome to Maryland. I will be heading to you Alaska, tomorrow to do some hiking and sightseeing. I am excited to read that you want to hike the Appalachian Trail. In 2006, my wife and I thru-hiked the entire trail from March to September. Our lives have never been the same. We wrote two books about our adventure, one of which may be of interest to you. It is entitled, "The Walk - Reflections on Life & Faith from the Appalachian Trail." In it we draw the many inescapable parallels between hiking the trail and a walk of faith. It may be something you would want to read before beginning your hikes on the AT or to take with you on the trail as a devotional. May God bless your work at Maranatha Brethern Church and your time on the trail. Best Regards, Randy Motz "Windtalker"
Pastor Thornton: Greetings from Manchester, UK. I am continuing research on the Japan Evangelistic Bands up to the death of Buxton. Your relative's name Jessie Thornton continues to surface in my work, both in Japanese and in English. Looking for more information that might enable me to understand and articulate his contributions and perspectives, I came across a website of documents you have collected. I would like to talk with you about possible access to this collection. You can find out more about me on the Manchester Wesley Research Centre, UK. I and a Japanese scholar are co-authoring an article due 31 December and so time is a bit of the essence! Eager to hear from you!